Tykes FC offers a variety of classes in our Northbrook facility to help young children develop skills on and off the field while learning to play the game of soccer. Class sessions are typically 8 weeks in length. Please note, class group sizes are limited, so register today! In our Keepers Program coaches and parents work together to introduce the children to interacting and playing within a group setting. Players will strive to develop social and life skills such as sharing, turn taking and following directions. The main emphasis will be enjoyment through engaged activity. Gross motor skills are developed through the actions the kids perform during the program. In our Defenders Program coaches begin to introduce the game of soccer to the children. Age appropriate activities are utilized that involve kicking and running. Gross motor skills are further developed as the players engage in more advanced movements. Qualities such as turn taking and listening to instructions are facilitated more fully with rewards for commendable behaviors. The main emphasis is once again having fun. Enjoyment through more diversified activities and less parent involvement allows for the players to grow on their own and promote independence. In our Midfielders Program coaches teach the fundamental skills of soccer such as dribbling, passing and shooting. A combination of games and activities are used to instill the core aspects of the sport. The actions, movements and behaviors of Keepers and Defenders are expanded further through the Midfielders program. The players are now much more independent and are confident in showing mom and dad at home what they learned at Tykes FC. In our Strikers program the players get a real feel for the game of soccer through more advanced skill work and small sided games. An emphasis of competing will also be introduced. There will be a variety of fun games and contests to test the player’s skills and evaluate their growth. The coaches will educate the players on how to celebrate a victory and also accept not winning by applauding others who perform well. By the end of the trees program the Tykes FC graduates will be abundantly prepared for U8 travel soccer if they so choose to but also that much more advanced in experiencing and partaking in life. 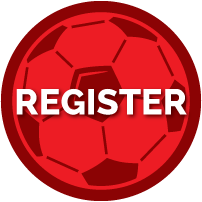 Click on the soccer ball to sign up today!